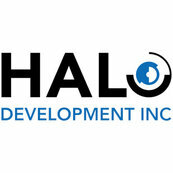 From all sides of working with Halo Development - from organization, to the amount of work we receive through them, to payments - they are great guys to work with. We wish there were more companies like them; they always produce quality work. Their clients are happy and easy to work with, because they are upfront about job expectations and run a tight ship.